-Spreaker powered by Voxnest - ... See More Whole new booth experience this year with ability to use touch screens to see all of our platforms in our software. -Shoutout to James Cridland and his http://Podnews.net newsletter. It is an incredibly thorough and very useful daily compilation of up-to-the-minute podcast-related news from around the world. - What’s the status of HTTPS feeds on Apple Podcasts? -This means that podcasters who have already submitted their show to Apple Podcasts will need to ensure they are using a secure podcast feed with an SSL certificate and for those of you who plan to submit in the future, you need to make sure you have it set up. If you’re not a techy person this basically means that it is recommended to use a podcast HTTPS RSS feed, with the “S” in HTTPS literally standing for ‘secure’. -What does this mean for you? We want to make the transition as easy as possible for Spreaker users: in the near future you’ll need to have your RSS Feed secure to be submitted on Apple Podcasts. 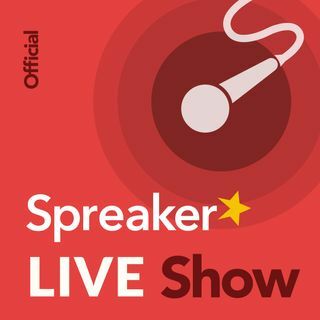 That’s why we have already made an update on our website which will allow Spreaker users to have their show’s RSS feed directly available as HTTPS. Below we explain how to make the changes. For podcasters who have not yet submitted to Apple Podcasts yet: you can already get the RSS Feed directly from the CMS or your Show page on the Website since it’s already been updated. It’s that easy. -For podcasters who are already submitting to Apple Podcasts: don’t worry for the time being, the HTTP feed is still working and we are in discussion with Apple to find the best solution for you. We’ll be in touch with more information regarding the transition as soon as we have an update. We’ll do it at a rate of 600 shows per hour (50 every 5 minutes are submitted), to process the full 4000 shows on PENDING state. I know this has been brought up before, but can we put the download button back on the embeddable player? The last time this was brought up i believe the answer was that only a small percentage of listeners downloaded as opposed to streaming. If that's the case, why not make it an option in the embeddable player, like many other features are. I just think it makes it more accessible to people who are new to podcast listening and afraid of using data. Obviously i try to steer them towards the podcast players, but I would still like an easier way to have them download straight from my webpage. I understand that i can make a download button, but if it was integrated into my webplayer, I can have the whole thing automate, and streamline my workload. Thanks! I guess I will have to share manually since I closed the business page a couple of months ago as they messed up functionality of it to the point that people stopped following it. Hi . . . just got back. Listening on Spreaker web and listen to a show later (not live) all of the way through and notice 0 plays and so many down-loads. Then come back later because I commented and wanted to see if someone else had commented also, and it still shows 0 plays. Thanks Doug! Thanks Joe for the great comment/ask? I have Paypal.me on my web site, too. Thanks Rob for making all those spreadsheets. Just listen to all the hit shows over at Mind Drippings Media https://minddrippings.media/ and you'll be fine. Actually, my show was submitted today, so in about three weeks I should be on Spotify. I think it's too much sometimes. I tried WordPress and did not like it. I got into Spotify Today!!!! YES!!!!!!! People are cheap and shouldn't be podcasters. Don't worry Doug is here. I was also originally worried about the mergers, but glad everything is good. It is magic, I guess.